Super happy, over an exhausting 30 hours straight we (4) came out victorious winning first place in the Waterloo Regional NASA Space Apps Challenge, for our educational game, Rocks, Lasers, Profit! We’re now moving on to the finals against even tougher competition. You can check out the current build on Github, but it needs a lot of bug fixing and feature enhancements before it’s ready for prime time. 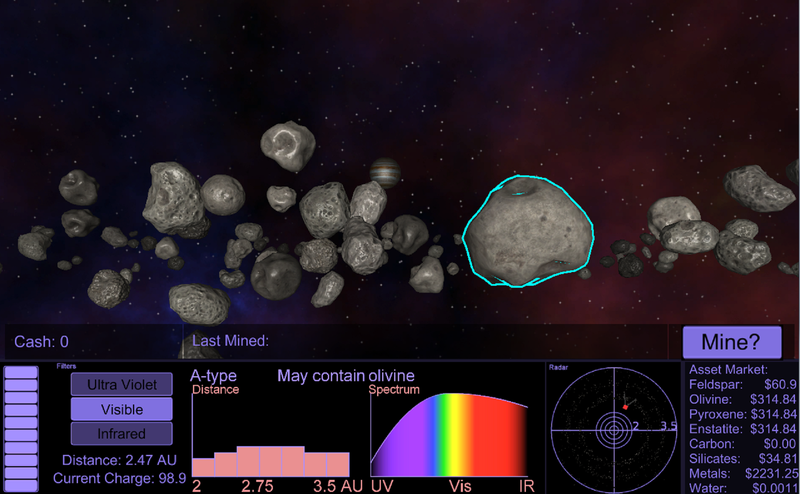 Nationally we were finalists (top 5) for two categories, Best Use of Data and Asteroid Prospector (of which there 22 games submitted around the world for this category). We won first place for Asteroid Prospector and were beat out by a team in Toronto, Ontario (we’re in Waterloo, Ontario) for Best Use of Data. 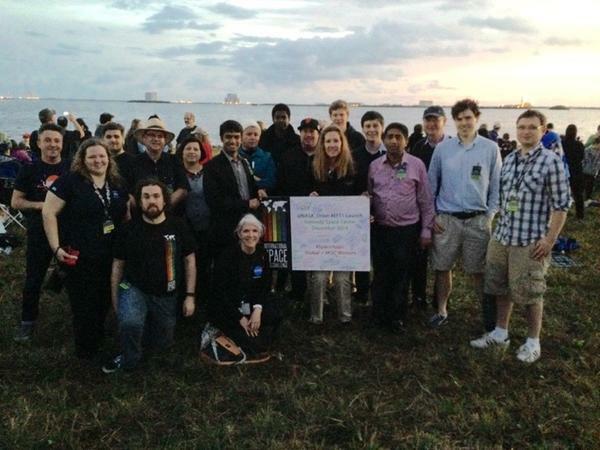 As our prize we were invited to watch the inaugural test launch of the Orion deep space craft https://blogs.nasa.gov/orion/2014/11/14/orion-flight-test-the-basics/! Although it would have been really cool to win 2 of the 8 categories, I’m happy that we lost to a fellow Canadian team and that Canada took home two of the prizes as the vast majority of the competition were based out of the United States. I’m also happy that we were able to win it for Waterloo because this is the first time Waterloo was in the competition. Lastly I think it’s pretty cool that a video game was a finalist in the first place for Best Use of Data. 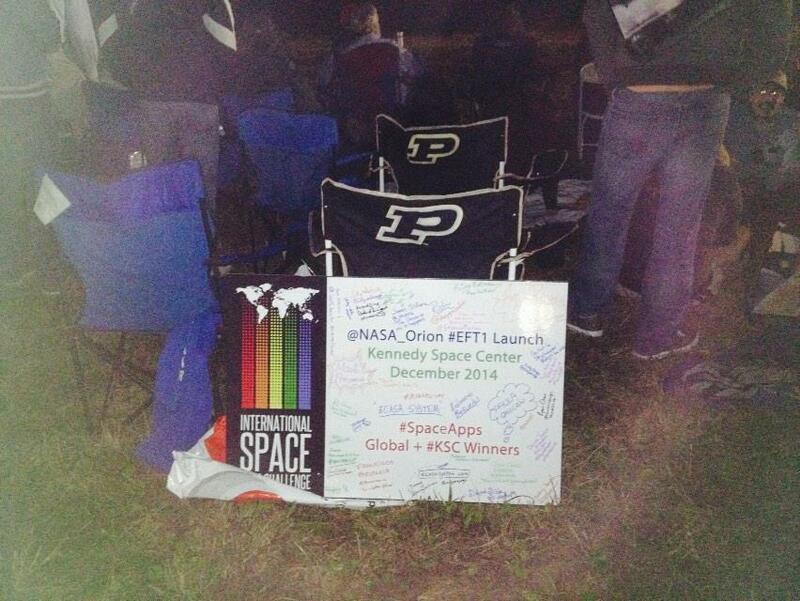 You can see more of the 2014 NASA Space Apps Challenge at these links.